Email or call today for Current Inventory and Availablity. 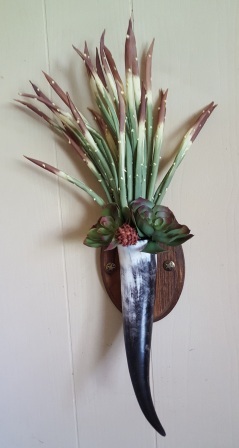 An accent piece that takes center stage in any room. 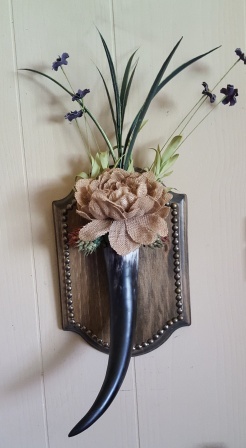 Genuine cow horn mounted on wood base, filled with floral arrangement! 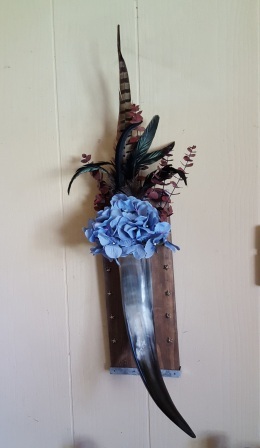 Each piece is hand crafted in a unique design, approximate size 37" tall by 15" wide. $75 each ($20 shipping USA addresses only).